Many people experience neck pain or stiffness in the neck especially after waking up in the morning. This pain located in the neck can be more than just a hassle; it can limit your day-to-day activities. Neck pain is a common medical condition. Figures show that approximately one in ten adults is experiencing pain and soreness on the neck at this particular moment and about 50 – 85% of the population will be distressed by episodes of neck pain in the future. More than that, at least two in 20 will find their neck pain debilitating compared to the rest of the population who can still accomplish their daily tasks while coping with the discomfort of neck pain. Our necks are composed of vertebrae that extend from the skull to the torso. The bones, ligaments, and muscles of your neck support the weight of your at least 5-kilogram head and allow it to move. The neck also serves as a conduit for the spinal cord in carrying blood vessels to and from the brain. Each vertebra is joined by facet joints, where in vertebral discs lie in between the vertebrae acting as shock absorber. 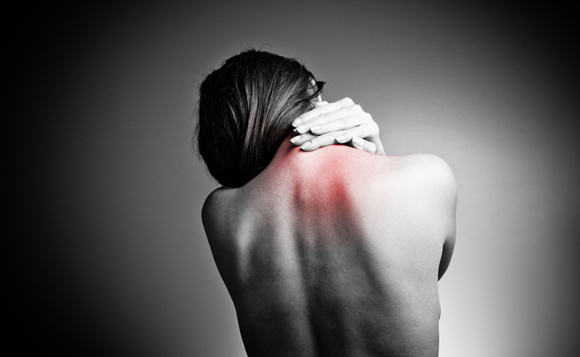 Injuries, inflammation and abnormalities in the vertebrae and surrounding muscles can cause stiffness and neck pain. Most of the time, neck pain can be alleviated with non-surgical therapy, but under any circumstances that your neck pain comes on suddenly or gets worse quickly, and causes loss of bladder or bowel control, shooting pains, numbness, tingling, or weakness in the arms or legs, these could signs of an infection or serious disease. Treatment of neck pain depends on your healthcare provider’s diagnosis which is based on your medical history and physical examination done trough tests such as X-rays, MRI scans and CT scan. These scans will allow your healthcare specialist to determine the exact cause, and assess the problem. There are cases where the tests do not correlate with the pain felt by the patient or X-ray results may show an abnormality, but there is no pain. But in most cases, a neck pain can be diagnosed by carrying out a thorough examination. This entry was posted in Health and tagged Causes of Neck Pain, Neck Pain Management, Neck Pain Symptoms.